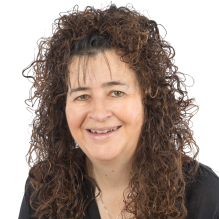 Dr Sandi Mann is a highly experienced Chartered Psychologist. She has a Doctorate in Psychology, Masters in Organisational Psychology, BSc in Psychology and Diploma in CBT. Dr Mann is an Associate Fellow of the British Psychological Society and a Member of EMDR Association UK and Ireland. Dr Mann has over 15 years’ experience working in NHS and private sector. Dr Mann’s specialisms include panic, phobias, anxiety conditions, OCD, PTSD and depression and is also author of various self-help psychology books published by reputable publishers such as Hodder and Stoughton. She appears regularly in the media as an expert psychologist and is also University lecturer where she is Module Leader for MSc Clinical Psychology. She is also columnist for the British Association of Counselling and Psychotherapy (BACP) journal Counselling At Work and is an invited speaker at conferences across the UK. Described by her peers as a one of the most practical experts in her field, competent and easy to communicate with we are proud to present Dr Mann to Manchester Clinic. You don't need a GP referral to see Dr Sandi Mann.